Ever-increasing international travel volume is having a serious impact on airports like New Zealand’s Auckland International, which saw over 19 million passengers last year. The airport is taking the increased passenger flow and logistics issues seriously, using a unique combination of traffic and passenger flow measurement technology. The result? Faster travel times, acceptable wait times, less passenger stress and a wealth of information that helps the airports and the city to plan resources more effectively. Auckland Airport expects to host over 40 million passengers annually by the year 2044. To cope with this increase in passenger load, the airport embarked on a wide-ranging and world first combined passenger-flow and road-traffic measurement project, with the goal of obtaining real-time cohesive view of people movement patterns, to guide daily and long-term operational decisions, maximise capacity and improve flow. In its build, the airport has opted to aim for sustainability, while ensuring that they will not only have the capacity to handle the extra people, but also the capability to make the passenger journey as smooth and stress-free as possible. Smooth passenger flow, both in the arrival and departure terminals, and the concession and transit waiting areas, as well as on the roads surrounding the airport, is critical to the successful operation of an airport. Issues with traffic flows can result in delays for passengers, airport staff and airline crew, resulting in disruptions to airport and airline operations. To manage both passenger and traffic flow, Auckland Airport realised they needed to have a bird’s-eye view of the entire system, as well as detailed, up-close analysis of ongoing issues. They also needed a way to quickly act when things start to bottleneck. With several traffic monitoring projects in New Zealand, using the same technology, infrastructure consultants Beca was commissioned to extend the solution across the airport’s roading infrastructure. This now provides the airport with a seamless picture of traffic flow information between the airport and Auckland CBD (Central Business District, also called the city centre). Outside the airport, the solution measures traffic flow between the CBD and the airport, providing real-time data on reliability, vehicle counts and travel time. It provides data about the mix of staff and passengers using the Park and Ride facility, enabling the airport to better understand the performance and regularly review how they can improve their facilities. This information is also analysed to help planning decisions for road network maintenance and infrastructure projects. The insights, collected using a range of technologies, including radar and WiFi sensors, also helps the New Zealand Traffic Agency (NZTA) to make informed traffic management decisions, and has allowed for the implementation of a number of initiatives to improve the traffic flow to the airport. This includes optimising traffic signal timings, and combined with the recent opening of the new constructed Waterview connection, has resulted in significant travel time cuts to and from the airport from the CBD and West Auckland. In addition, the real-time and historic BlipTrack data enables NZTA, via their new app RideMate and online, to display live travel times between the CBD and airport, as well as informing about days with high risk of congestion. This enable road users to plan ahead, reducing both the risk of travellers missing their flight and airport employees coming in late for work.  Besides the benefits of real-time reporting, the historical data is used to detect driving time anomalies. Effectively, this means that the solution can pinpoint road sections and intersections where driving times deviate from the norm as a result of construction projects, incidents, roadwork, faulty traffic lights and other factors. With this information at hand, real-time traffic management can take place. Inside the airport, the solution provides metrics on passenger queue times and volume, as well as insight into passenger movement patterns throughout the international and domestic terminals´ departure and arrival processes. This helps the airport better manage and support resources by focusing on high-demand locations and periods. Likewise, the data directly benefits passengers by displaying wait times at security checkpoints, managing passenger expectations and reducing queue-related stress. Numerous other international airports, including Amsterdam Schiphol, Copenhagen, Dublin, Brussels, Bristoland Billund, are following suit. These airports have recognised that comprehensive seamless passenger flow data is indispensable in guiding physical expansion plans, and for streamlining operations to accommodate rapid passenger volume growth, without compromising the passenger experience. 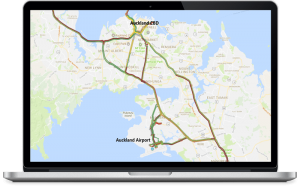 “By having Auckland Airport and Beca working together, and by sharing data between multiple solutions, BlipTrack provides a solution that no other product in the industry can currently reproduce – large-scale, seamless, door-to-door movement management between different modes of transport. And because it´s not only limited to certain areas, it can be considered as one of the first real, tangible steps to true multimodal traffic management,” ends Peter Knudsen, CEO of BLIP Systems.